Two Ro-Ro vessels owned and operated by Stena Line are to be retrofitted with Wärtsilä in-line closed-loop scrubber systems. 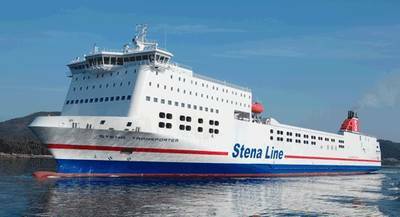 The scrubbers will be installed on the Stena Transit and Stena Transporter ferries operating between Hoek van Holland in the Netherlands and Killingholme in the U.K. The order was placed with Wärtsilä in December 2014, and the retrofitting is scheduled to take place in Q4 2015 and Q1 2016. By installing Wärtsilä scrubber systems, the ferries will comply with the regulations covering emissions of sulphur oxides (SOx) while using conventional residual marine fuel (HFO). The operating routes of these two ferries fall within the North Sea's Sulphur Emission Control Area (SECA). This is the first ever order for an in-line closed loop scrubber system, as the in-line option has earlier only been available with open loop systems. The compact design of the inline system saves space and it also facilitates easier and faster installation, thereby reducing the length of time that the vessel needs to be out of service for retrofitting. The Wärtsilä closed loop scrubber system operates so that the wash water is being circulated within the scrubber. Exhaust gas enters the scrubber and is sprayed with fresh water that has been mixed with caustic soda (NaOH). The sulphur oxides in the exhaust react with this mixture and are thereby neutralized. The cleaned effluents can be safely discharged overboard without causing harm to the environment. As part of this contract Wärtsilä will, in addition to the scrubbers, also supply engineering support, technical advisor services, and commissioning of the systems.